(March 30): The benchmark S&P 500 eked out a gain on Wednesday as strength in the energy and consumer sectors offset declines in financial shares and investors began looking ahead to first-quarter earnings season. 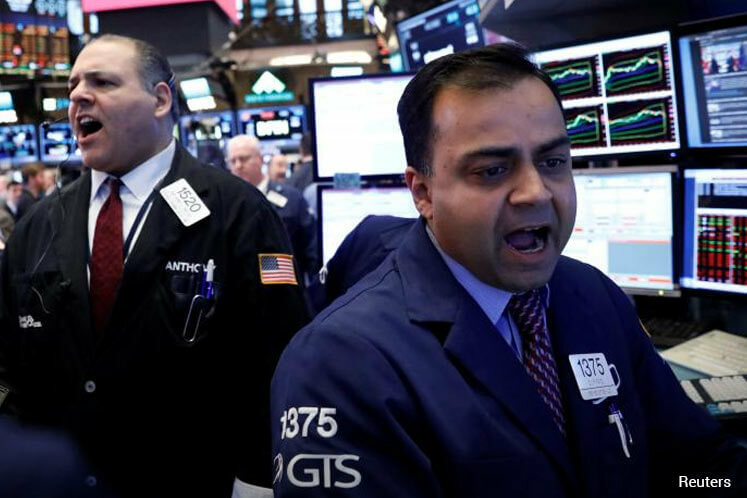 The Dow Jones Industrial Average fell 42.18 points, or 0.2 percent, to 20,659.32, the S&P 500 gained 2.56 points, or 0.11 percent, to 2,361.13 and the Nasdaq Composite added 22.41 points, or 0.38 percent, to 5,897.55. The energy sector gained 1.2 percent, leading all sectors, supported by stronger oil prices. The consumer discretionary sector rose 0.6 percent as retailers such as Nordstrom and Kohl's surged. Amazon.com rose 2.1 percent and hit an all-time high, giving the biggest boost to the S&P 500 and Nasdaq. Financial shares fell back 0.5 percent a day after leading a rally. In corporate news, Vertex Pharmaceuticals soared 20.5 percent after the company's cystic fibrosis treatment succeeded in a late-stage study. The stock boosted the S&P and helped drive the Nasdaq Biotechnology index up 0.9 percent.